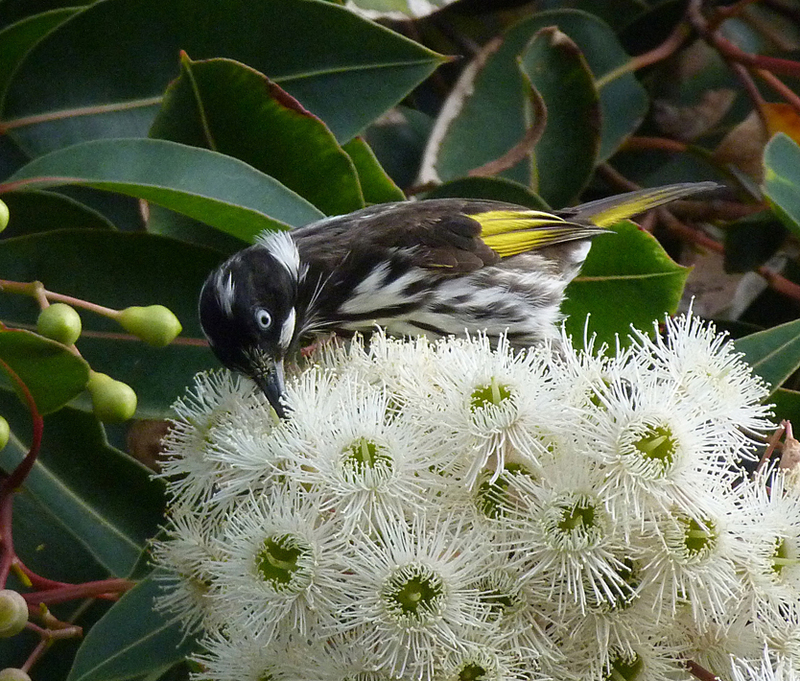 The New Holland honeyeater is perched on the topmost branch of the white flowering gum in my backyard. Every few minutes it takes to the air and chases an insect that has inadvertently flown too close to its ‘operating zone’. 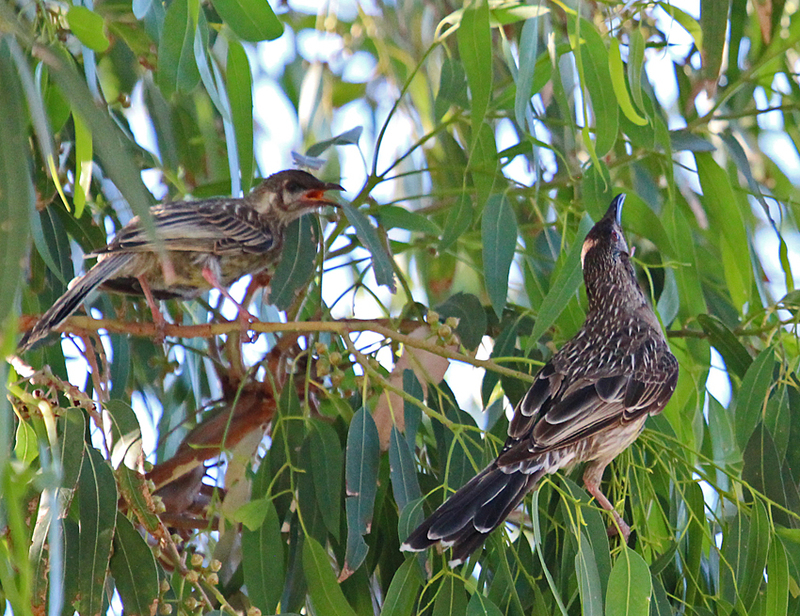 But hawking for prey like this takes an energy toll on the little bird, requiring frequent refuelling at the nectar rich flowers that also serve to attract its insect prey. 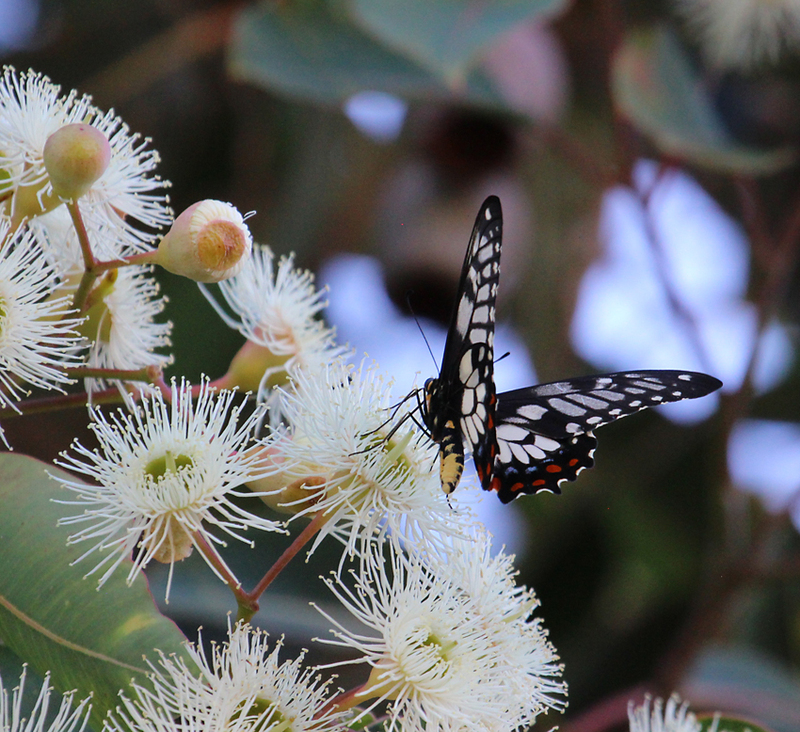 This is just one of the little wildlife scenarios that play themselves out during the Christmas season in the gum trees that grace my backyard. 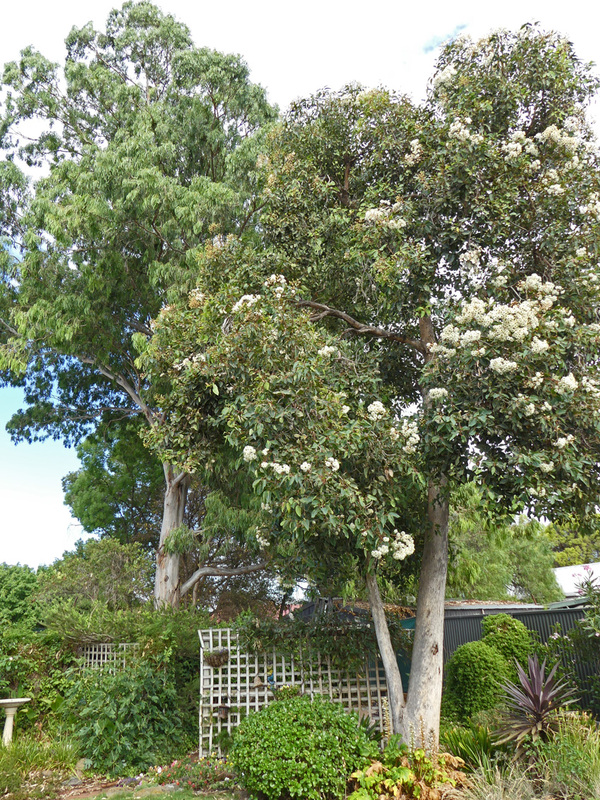 The smaller tree comes into flower in early December reaching its peak around Xmas day. The larger tree has flowered earlier but seems to harbour a wealth of tiny leaf and bark insects throughout the early summer months. Together, they attract a wide range of birds providing an interesting holiday spectacle; especially if one has scored a new camera from Santa. 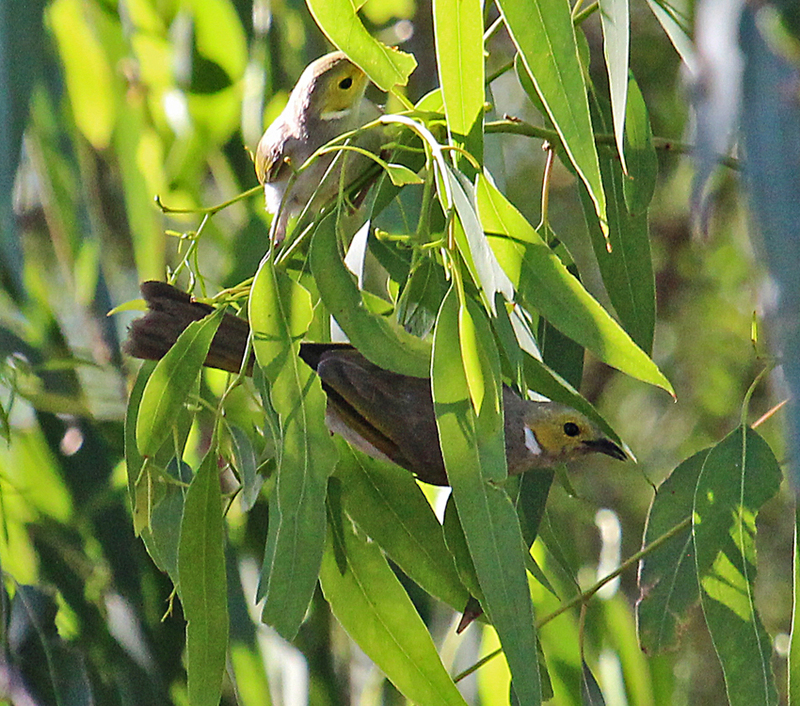 New Holland honeyeaters aren’t the only species of honeyeater that feeds in my garden. The more timid white plumed variety also samples the blossoms and hawk for insects. However, at this time of year they are almost finished raising their final brood for the season and the young ones are being schooled in the art of bug catching by the adults. 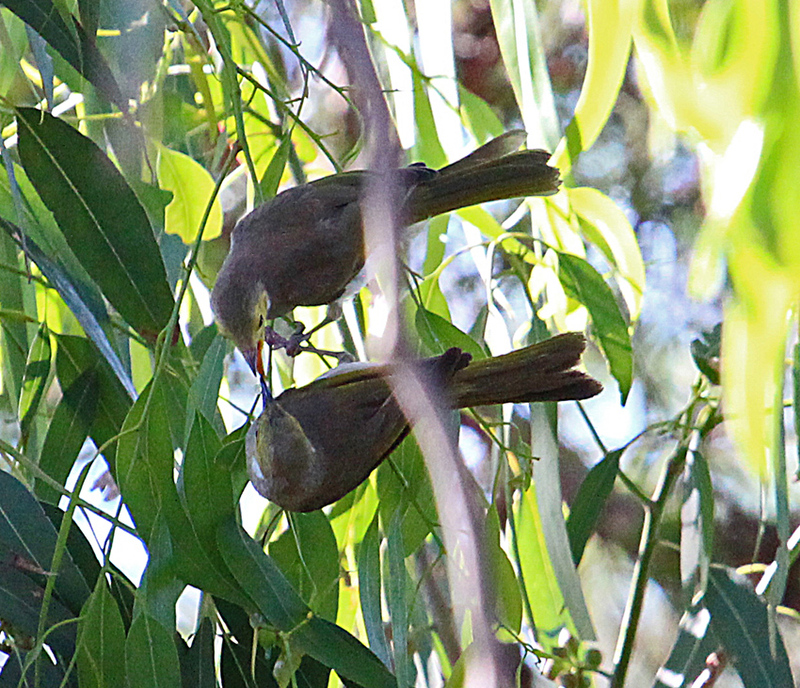 Peering through my long lens into the shadows of the taller tree I am lucky enough to capture two images of a chick waiting for food then being fed a bug by its parent. 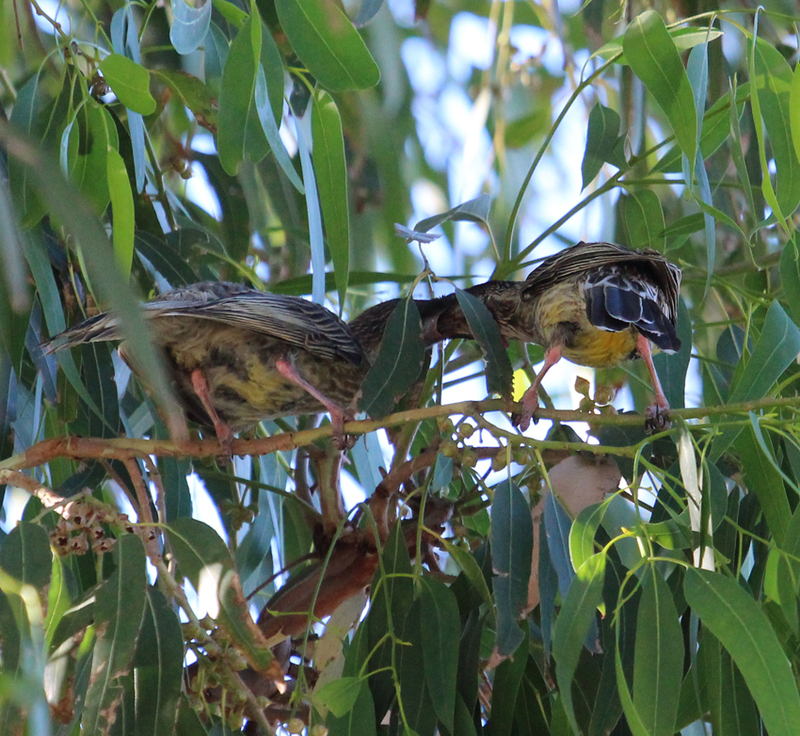 In a wonderful coincidence, there is also a family of wattle birds in the same tree and a fully fledged chick is sitting on a branch demanding to be fed. I watch carefully, trying to time my shots to coincide with the exact moment the adult shoves some insect offering down its waiting gullet. Of course, some leaves get in the way and the light intensity drops at the crucial moment but that’s wildlife photography. With a Xmas drink and a mince pie resting on the outdoor table next to my cameras I scan the foliage of the smaller tree for a final shot or two. 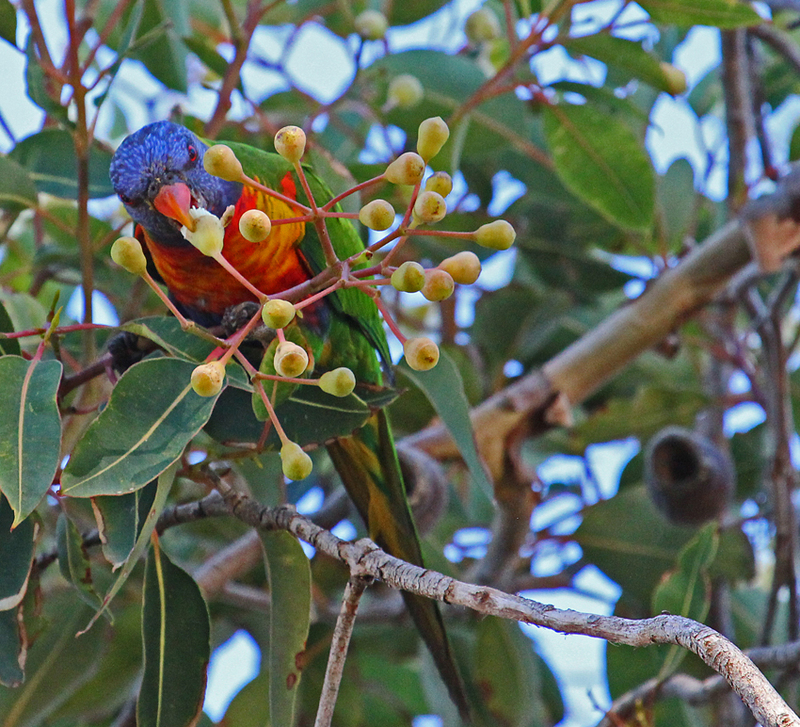 Two colourful creatures oblige; a rainbow lorikeet is tearing apart a blossom emerging from a gum nut and a swallowtail butterfly is probing the mature flowers for nectar.